No more arm workout! This Instant Pot mushroom and wheat berry risotto gets extra rich and creamy in the pressure cooker! I did not actually make this in an Instant Pot but rather a pressure cooker, but I used Instant Pot in the title because it seems like everyone is searching for Instant Pot recipes these days 😬 But they're basically the same thing, so sue me. I got a digital pressure cooker a few years ago and have been obsessed with using it to cook grains and beans, but it wasn't until recently that I realized you could do other things with it. I can thank the whole Instant Pot craze for that. I've made curried lentil soup, a spicy and saucy chipotle chicken taco filling and hearty black bean chili. It's SO easy to use, a definite must-have for easy weeknight cooking. P.S. Here's an (affiliate) link to the pressure cooker I use. To make this, I used einkorn wheat berries that were sent to me as part of a lovely little package from Jovial. Einkorn is an ancient wheat with a lower weight gluten, so some people with gluten sensitivity (not celiac disease) can tolerate it. And I just love it's flavor too. If you can't find it, just swap any 'ole wheat berries or use farro or barley. 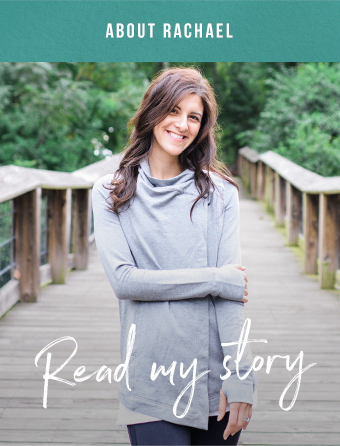 For those of you who have been interested in joining along in Joyful Eating, Nourished Life, the six week online wellness program I run along with two other non-diet dietitians, now is your chance! Registration for our April group is open and if you sign up for our mailing list ASAP, you can grab the early bird discount code. If you're new to this whole non-diet living thing and struggling (totally normal), you'll benefit from the support of three dietitians in our supportive facebook group, plus guided activities to help you build a healthier relationship with food and your body. Feel free to email me at AnAvocadoADayRD@gmail.com if you have any questions! Heat olive oil and butter in a skillet on medium heat. Add onion and garlic and saute until translucent, about 5 minutes. Add mushrooms, season with salt and black pepper, and saute until tender and mushrooms have released their liquid, about 10 minutes. Scrape mushrooms into a pressure cooker or instant pot. Add wheat berries, stock, wine, thyme and 1/4 teaspoon salt. Secure lid and set to 20 minutes. After pressure has been released, remove lid and stir in parmesan cheese. Season with salt and black pepper. If there's still a little too much liquid, let it sit for a bit and it will soak in.